Estadio Cuauhtémoc was built to serve as one of the playing venues of the football tournament of the 1968 Olympics. 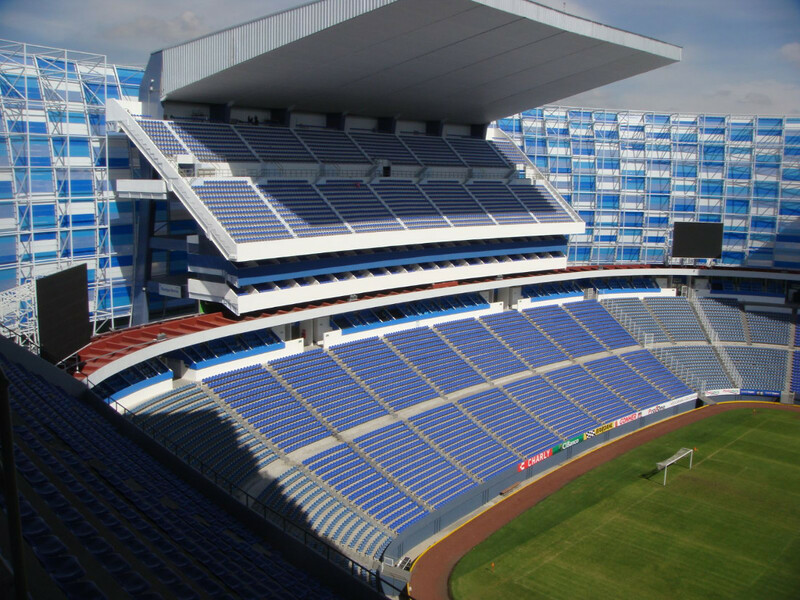 It was designed by the same architect that also designed Estadio Azteca. Estadio Cuauhtemoc officially opened on 6 October 1968, just before the start of the games. The official first match was one between the Mexican national team and the Czech Republic Olympic team (1-1), but before this match a warm-up a match had already been played by Puebla and America. Two years later the stadium was also one of the five playing venues of the 1970 World Cup, hosting three group matches. Capacity of the stadium was initially 35,000, but this was increased for the 1986 World Cup to 42,648 by building two extra tiers on both long sides. During the 1986 World Cup, Estadio Cuauhtemoc hosted two group matches, a round of 16 match, the quarter-final between Belgium and Spain (1-1), and the match for third place between France and Belgium (4-2). In 2015, the stadium underwent a large redevelopment, including a new outer facade, the construction of extra tiers on both ends, and the installation of new seats. This raised capacity with about 10,000 seats to over 51,000. 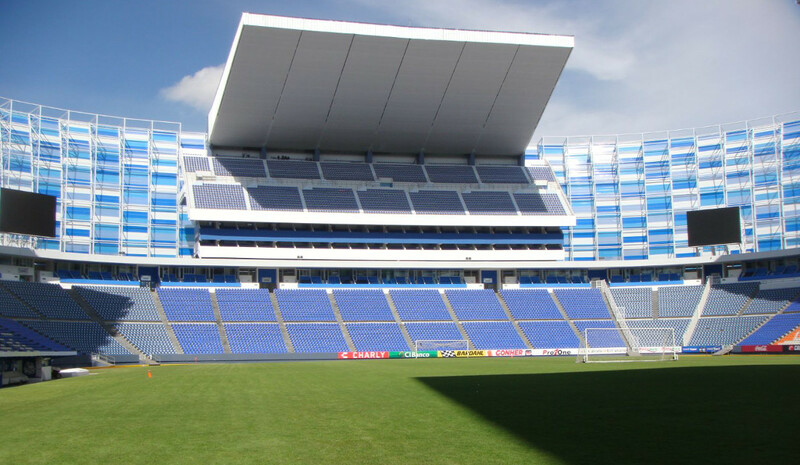 Estadio Cuauhtemoc is located in the north-east of the city of Puebla, along the Mexico–Puebla motorway (150D), and approximately 7 kilometres from Puebla’s historic centre. The stadium is best reached by taxi, though local buses do serve it. A taxi ride from the CAPU bus terminal takes approximately 10 minutes, and a ride from the city centre 15 to 20 minutes. Tickets for Puebla games can be bought online via Superboletos, at the ticket office at the stadium, or at one of the other sales points. Centrally located sales points are the Farmácia del Ahorro pharmacy at 10 Poniente #116 and the Mistertennis store at 2 Poniente #114, both in Puebla’s historic centre. Tickets will also be available on the day of the match at the stadium. Ticket prices depend on the opponent. 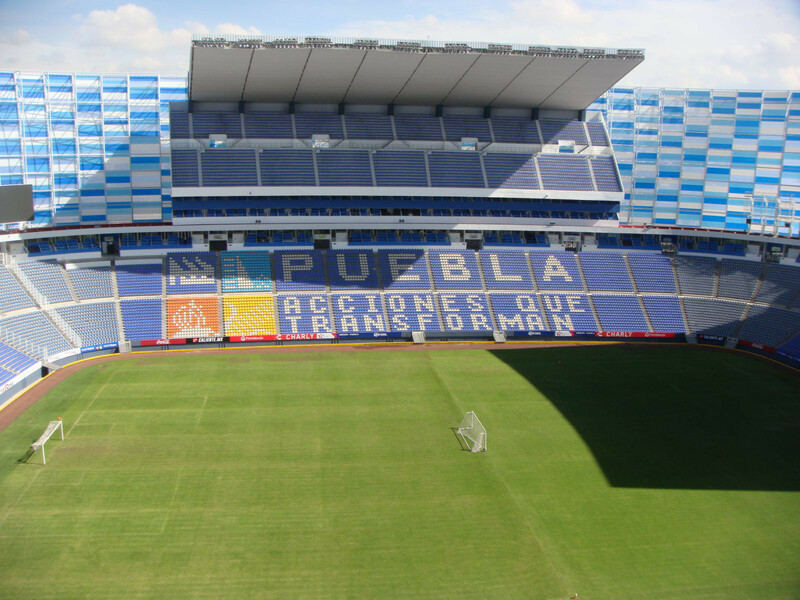 For a regular league match these will typically range from MXN 90.00 for a seat at the upper ramps to MXN 390.00 for a seat at the lower tier of the main stand. Prices tend to get doubled for high-profile matches. 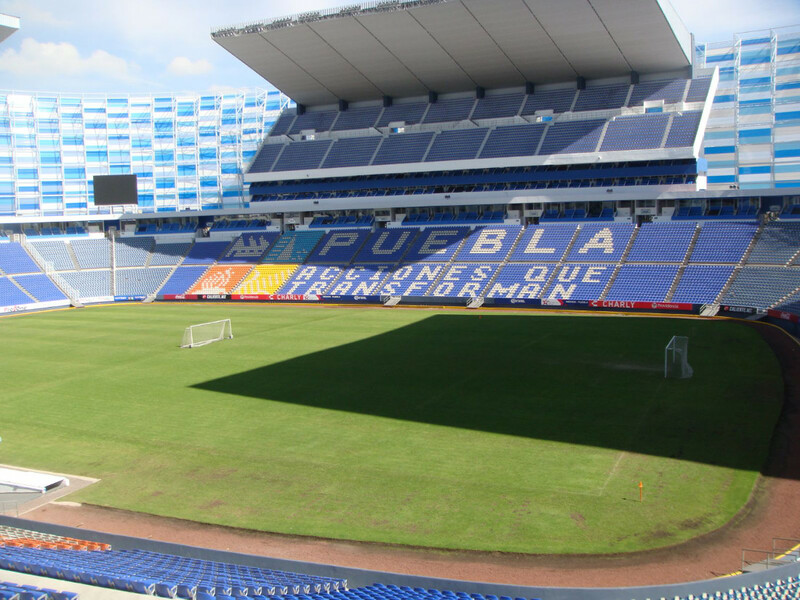 Pueblafutbolclub.com – Official website of Puebla FC. Turismopuebla.gob.mx – Tourism portal of the Puebla city councel. 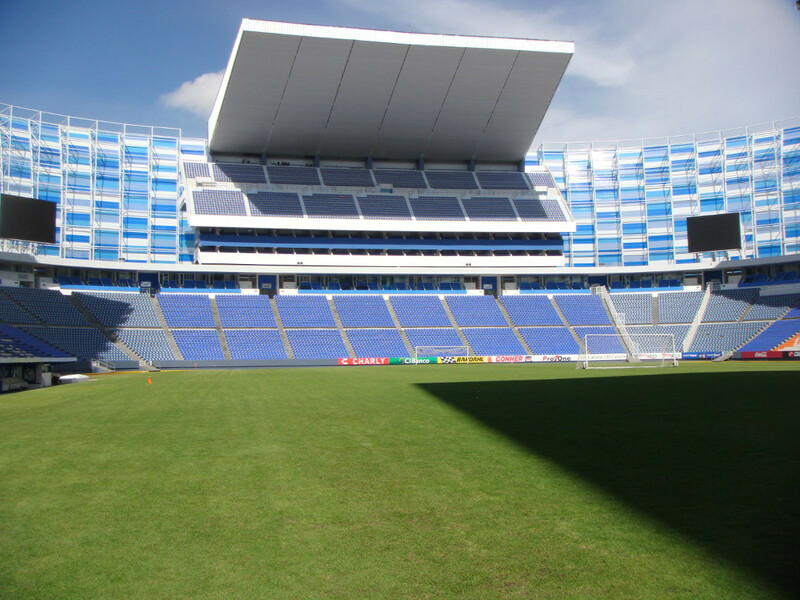 We went to see the stadium in November 2011, attending a match between Puebla and Tigres from Monterrey. It was the last game of the regular season and both teams needed a win in order to qualify for the playoffs. The match was played on a Sunday at noon. We reached the stadium by taxi from the CAPU bus terminal, where the buses from Mexico City arrive. The taxi cost us app. 6 USD, and the ride took about 10 minutes. At the stadium we quickly found our ways to the ticket booths (taquillas), and waited for about half an hour to make it to the front of the line. Conveniently we could get tickets for any section at that ticket window, and we were kindly explained the options. We chose a section high up in the stadium, in the long end, mainly because the roof would protect us against the blistering sun. The tickets cost us around 5 USD, and after eating some quesadillas at one of the many food stands we entered the stadium. The stadium looks quite impressive from the inside (as well as the outside) with its high ramps. Seating was free, which meant we could choose any seat in the upper long end stand. Our section was nicely filled with Puebla fans, though enough free seats remained throughout the match. The fanatic fans of Puebla sat (or more often stood) behind the goal at one of the short ends, whereas the visiting Tigres fans were in a corner at the opposite end. Quite a few Tigres fans had made the away trip and the atmosphere was nice from both sides. The stadium was about two-thirds filled. Beers and snacks were sold by the typical vendors walking around the stands, so we did not even have to get up to get a beer. The match was rather uneventful, and won by Tigres which somewhat dampened the atmosphere in the home stands. After the match the stadium emptied quickly and the fans of both sides mixed up peacefully on the outside. After a bit of a search, and climbing over a freeway, we found an empty taxi which brought us back to the bus terminal (we already knew the city, but would definitely recommend a visit to the historic city centre).